If you’re a fan of David Gilmour’s haunting echo sound, this one’s for you. Overloud have just released Echoson, a plugin faithfully recreating the sounds of the legendary Binson Echorec. Haven’t heard of it? You’ve definitely heard it. It was the echo used on the Time solo on Dark Side of the Moon, and all those weird spacey sounds in Live at Pompeii. In fact, it was a constant part of David Gilmour and Richard Wright’s touring rig for much of Pink Floyd’s golden years. The Overloud Echoson offers the hauntingly ethereal tones of Pink Floyd, in a convenient plugin, ready for you’re favourite DAW. The Echorec was manufactured in the 1960’s and 1970’s by the Italian audio manufacturer Binson. The original unit looked more like an espresso machine than an echo unit, but boy did it sing. The Echorec used a rotating magnetic drum, powered by an AC motor, which set it apart from the more commonplace tape delays of the time. The units record playback heads were situated around the drum, which gave the unit unique rhythmic patterns, with the sound customisable with Echorec’s three modes, Echo, Repeat and Swell. The repeats were eerie and metallic, the machine possessing a unique modulation that has been unparalleled to this day. 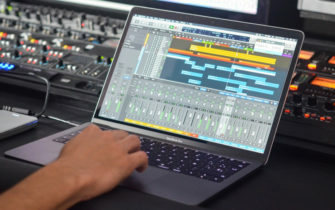 Original units have become a bit of a trade secret for high end producers, but their scarcity and price (a decent one can push $5,000) make them inaccessible for most. There have been numerous pedal renditions of the old hardware, such as the Catalinbread Echorec and the Gurus Amps Echosex. Overloud’s plugin gives you the flexibility to get all of the unique tones of the original, in your favourite DAW. 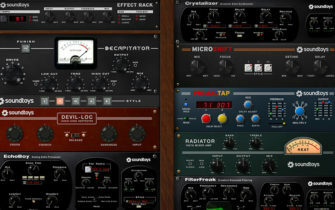 Overloud claim’s their software is a “Super-realistic recreation of the lush ethereal original tone,” and uses an interface based on the original units simplistic usability. Other features include Independent control of each playback head, a built-in parametric equaliser and adjustable disc speed to change the delay time, with a hand BPM sync option – all features that you wouldn’t get if you forked out for an original. The unit also offers presets, to make accessing our favourite settings easy, as well as a stereo operating mode with separate controls for left and right. If creating lush vintage soundscapes from your laptop sounds like your thing – step right this way. For more information take a look at the Overloud product page.